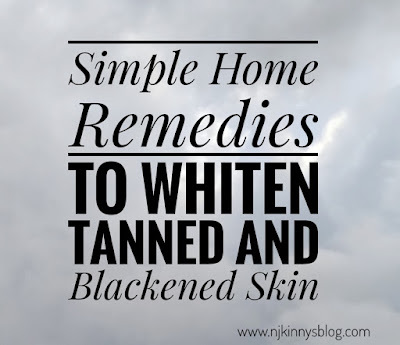 Home / Articles by Njkinny / Fashion and Beauty Corner / Simple Home Remedies to whiten tanned and blackened skin! Simple Home Remedies to whiten tanned and blackened skin! Sometimes despite our best efforts some areas of our body get neglected and suffer from blackened, hard and rough skin. The most common areas of our body to suffer from neglect are elbows, knees, underarms and our backs. Skin blackening can happen due to many reasons like sweat accumulation, hormonal disbalance and blackening/tanning due to exposure to the sun. To whiten and soften the skin in such areas, we are ready to try and apply all kinds of cosmetics and artificial products but today I'll share with you some really simple and tried and tested home remedies to whiten, brighten and soften the skin. 1) Lemon and Sugar works magic! Take a lemon rind (nibu ka chilka) and coat the inside with sugar or brown sugar. Leave it for sometime and when the sugar slightly melts, rub this gently in circular motions on the blackened, hard and rough parts of your body for fifteen minutes. Repeat this two to three times per week and you'll see the skin whitening and getting velvety soft in no time. Lemon juice and honey mixture was used by Queens to brighten, soften, tighten and whiten their skin in the times gone by. This ageless beauty tip has been used and is still used by people all over the world with magical effects seen on the skin. 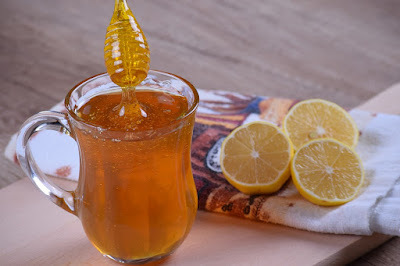 Mix one lemon juice with one tablespoon of honey and apply on your skin. Wash off after 10 minutes to feel the softness and tightness of your skin and also see all the black spots diminishing after a few repeats. 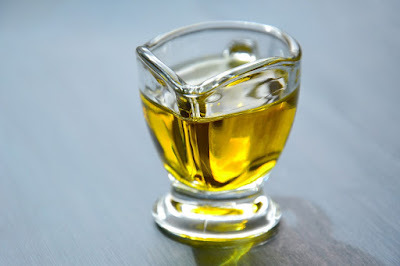 Apply a few drops of Castor oil with lemon on the affected areas at night and wash off in the morning. Do this once a week to get pearly white and satin soft skin! Mash a banana and apply on the areas which you want to whiten and soften. Leave for fifteen minutes and then gently wash off while rubbing in circular motions to remove the black patches and get soft and bright skin. 5) Lone Lemon is enough! If you have nothing else then lemon is easily found in almost all homes. So grab the rind of half a lemon and rub gently on the blackened areas of the body and leave for twenty minutes and then wash off to see visible results. 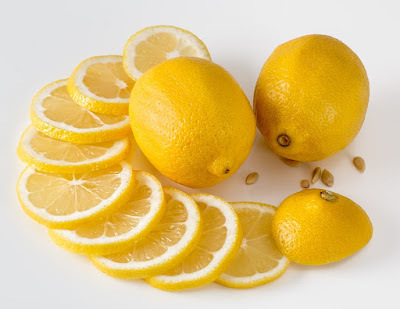 Apply some lemon juice on your underarms after you take a bath and leave it. This not only acts as a natural deodorant by giving off a lemony smell all day but also protects your underarms from germs and from getting black. 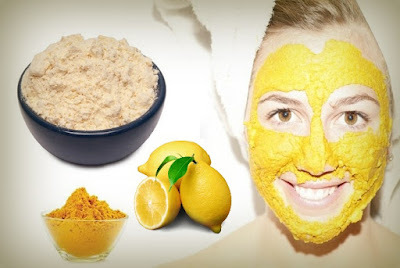 Mix Besan (Gram flour), Chandan powder (Sandalwood powder), Masoor Dal Powder (Red Lentils powder), Dahi (curd) , 1 tsp of Haldi powder (Turmeric powder) and lemon (nimbu) to form a uniform paste and apply on the affected skin. Leave on for twenty minutes and then wash off. This is a multipurpose face pack (ubtan) and works wonders in repairing, tightening, brightening and whitening the skin. 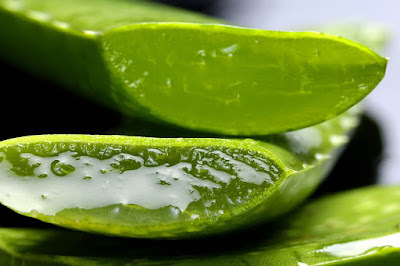 Apply Aloe Vera gel to the blackened areas of your body. This gel not only cools and soothes the skin but also removes the blackishness to leave the skin looking fairer and healthier. With such easily available natural ingredients at our disposal, whitening and caring for your skin is not only easy but also very cheap and with no harmful side effects. These above are only some of the ways by which we can get that bright, light, beautiful and clear skin without having to spent big bucks on beauty products. Go try these simple remedies and see the results for yourself! If you have any other homely skin care tips then share those too in the comments below because sharing is caring! Do share your thoughts with me. I love hearing from you. Simple Steps to achieve that Perfect and Beautiful Skin without taking out extra time from your schedule!